Is your business in need of transportation solutions? At Tri Truck Centre, our commercial trucks dealership serves businesses shopping for Hino dump trucks, straight trucks, hook lift trucks, or refrigerated trucks in Barrie and Ontario. We always carry a selection of commercial trucks upfit and ready for immediate delivery to help meet your business needs. 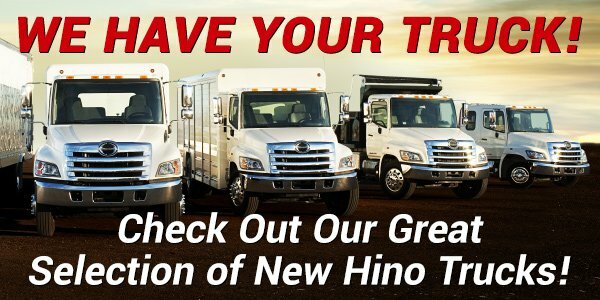 We can also customize your Hino trucks for your needs, including our Hino 165, Hino 195, Hino 258, Hino 268, Hino 338, or Hino 358 trucks. Come buy where the fleets buy their commercial trucks with confidence.